The Roll-Line GLADIATOR 63mm X 38mm Professional Roller Derby Wheels represent the start of a whole new class of HIGH Performance Urethane Wheels specifically designed for Roller Derby. This very high quality wheel, is designed to be used on many types of skating surfaces including Skate Court, Sport Court, Concrete, standard wood floors coated with plastic or poly urethane, but also unusual surfaces like, tile type basketball and volleyball courts, tennis courts (Indoor or outdoor), and terrazzo surfaces that are more common around the World for Roller Derby. 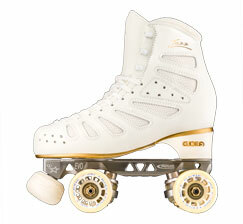 The Roll-Line GLADIATOR 63mm Professional Roller Derby Wheels utilize a stiff Delrin hub which is Strong, Light, and with Close Tolerances for Roundness, and Trueness, for the Cage where the Bearings and Spacers are mounted. The Roll-Line Tread is a cast secret Special Custom Urethane Formula, which provides exceptional Grip, while providing great ROLL and has a distinctive outer lip that provides that strong extra grip for tight spaces and turns. 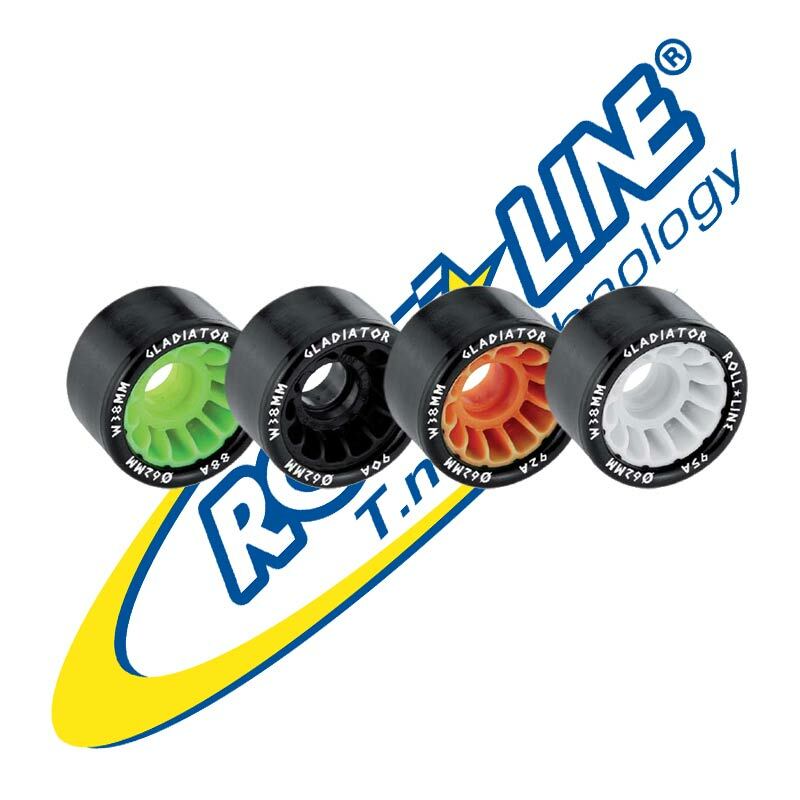 The Roll-Line GLADIATOR 63mm Professional Roller Derby Wheels have a little more feeling of spring or bounce as they have a higher REBOUND than most other Urethane wheels (except the Helium Indoor/Outdoor Wheels). This REBOUND creates a feeling of smoothness to the roll on the floor. The Hub color identifies which hardness the wheels are. 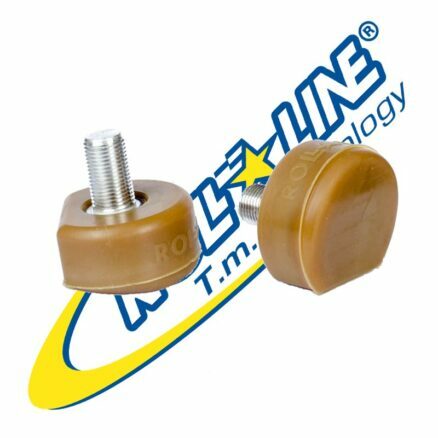 The Roll-Line 7mm and 8mm SpeedRace & SpeedMax Bearings , are specifically made for very High Level Competitive Roller Skating of all types, including Roller Derby and are a very Durable Bearing with lots of ROLL. 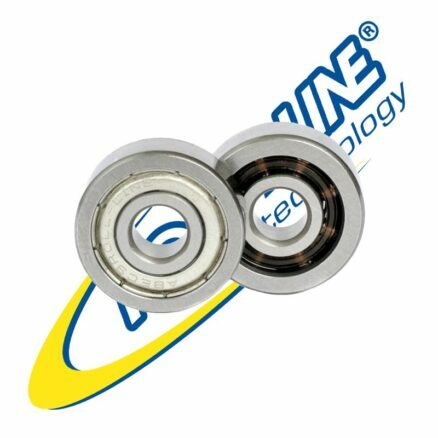 The SpeedRace & SpeedMax Bearings are Free Rolling with minimal Radial Play which promotes and very evenly distributes the load across the 7 or 8 (of the SpeedMax) balls for optimal Roll and a good amount of Axial Play or Thrust, which is the side movement of the inner race in relation to the outer race. 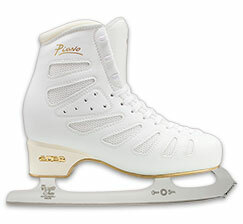 This movement is very important because when Skaters push, we always put side load on the skate to get power in the push or stroke. 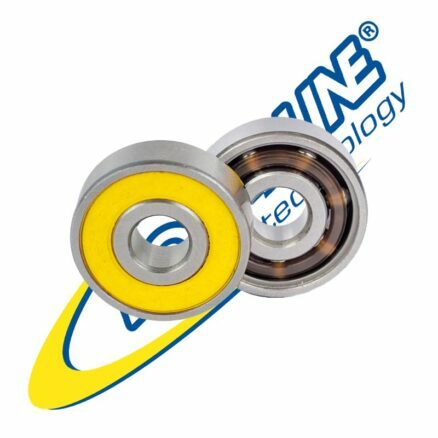 If the Bearing does not allow for this, it will bind and LOOSE operating speed or ROLL. These provisions in the Race Curvature and Contact Angle allow the Roll-Line SpeedRace & SpeedMax Bearings to ROLL very freely. 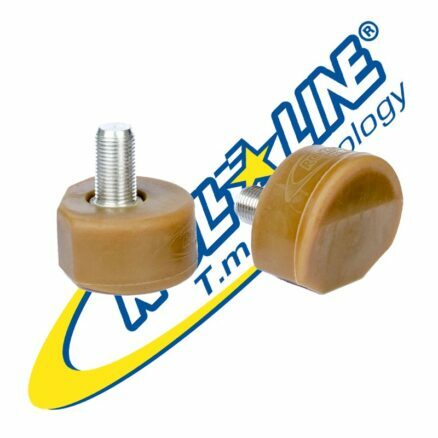 The Roll-Line SpeedRace Bearings If they work for World level FreeStyle Skaters, they will easily work for and withstand the riggors of Roller Derby.